Companies providing workable solutions into industrial manufacturing services are exposed to a set of increased liabilities, functions and most importantly regulations. For a product to convert into a finished state from raw material is a challenging task. To make sure a product is launched and marketed well, it travels international market, foreign countries, languages, and cultures. Communication and instruction points play a vital role in ensuring international exposure for a product or service rooted from industrial units. At Rephraserz – a Chennai based translation services agency, we have helped entities from around the world reduce their global investment while availing high quality customer base by providing local translation solutions. We know the challenges an industrial manufacturing company faces in the vent of its global footprints. Technical Manual Translation Services provided by Rephraserz takes into consideration your key business requirements. 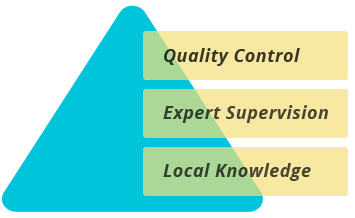 We have strict quality control policy to ensure whatever solution we provide can actually provide you the real business results you need. We connect with you your key local audiences by making your product locally understood. From training your on site local workers to translating high end service manuals in local languages, we know how to have you avail the best solutions. We make you an integral part of the process to know your product better and our experienced translators join you in the launch phase of a product to the stage of its monitor. To know about the technical manual translation solutions or industrial manufacturing services, you can contact our customer care representatives.